Ever since I worked in a bookstore and saw firsthand how rabid people can become over books, I've wondered just what it is that makes some books and series more popular than others. I've read a number of engaging books that failed not only to garner the widespread attention and multiple films that some authors' works manage to achieve, but even to stay in print beyond a first run. Meanwhile, completely horrible stuff like Stephenie Meyer's Twilight novels (I literally could not get more than two pages into the first title of the series) attracts legions of fans and gets top-grossing films. Sure, those films are also awful (except New Moon and Breaking Dawn Part 1, which are among the best movies ever made), but now Kristen Stewart is the highest-paid actress in Hollywood. Even among the books that do manage to transcend the printed page in the media world, few rise to the level of popularity that the Twilight novels -- and, most notably, J.K. Rowling's Harry Potter books -- enjoy in their original format. For instance, Charlaine Harris's Southern Vampire Mysteries and Jeff Lindsay's Dexter books have gotten popular television adaptations in "True Blood" and "Dexter" (respectively), but most people probably don't even know that those shows are based on books. And while more people are aware of the print origins of "Game of Thrones" -- if only because of the show's subject matter -- I'd bet that far fewer could name the author responsible for those tomes. A Series of Unfortunate Events by Lemony Snicket (the books are actually written by Daniel Handler) is among these less successful series. Despite having enough fans to warrant a 13-book series, spinoff titles, and a major motion picture, the books have clearly failed to generate a level of excitement comparable to the attention given to the Twilight and Harry Potter novels. I still don't know why readers find those books in particular to be so engaging. However, after reading The Bad Beginning, The Reptile Room, and The Wide Window -- the first three books in ASUE -- I thought the series was deserving of similar approbation from the masses. Then I read the others. Mind you, ASUE isn't completely horrible. There's a lot that it does right, and I can understand why some committed readers would be willing to stick with the series to the bitter end. (I was, even though I fully recognized the books' flaws and did more groaning than smiling as I made my way through the final titles.) For one, the main characters are fairly likeable -- or are at least somewhat interesting -- such that the reader connects with them and/or wants to see how their story will end. In the case of the Baudelaire orphans, the reader's sympathies are with them from the start: at the very beginning of The Bad Beginning, a fire destroys their home and kills their parents. 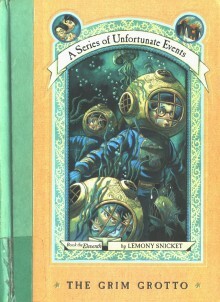 Moreover, as the name of the series suggests, this is only the first of the unfortunate events that plague the Baudelaires throughout the novels. And yet, whereas readers might still have been sympathetic if the Baudelaire children had fallen into despair and responded to their troubles with endless weeping, we admire them because of the strength and courage with which they face their hardships. In addition to perseverance, each Baudelaire has a particular skill he/she applies in appropriate situations. As with video games, this sly method of characterization keeps things simple for the intended audience (children) while imbuing each orphan with some measure of personality. Violet, the oldest Baudelaire sibling (she's 14 when the series starts), is a brilliant inventor, which enables her to invent various useful and life-saving contraptions on the fly. Klaus, who is two years younger than Violet, is an avowed bookworm and retains the bulk of what he reads -- making him an effective researcher and source of vital information. And Sunny Baudelaire is a baby. She bites things. Laugh if you will, but it's a talent that serves the children well -- especially given that the Baudelaires are perpetually pursued by villains whose progress can be slowed by the painful impression of four sharp teeth. At one point in the series, Sunny even climbs the elevator shaft of a 60-plus-floor building using only her teeth (she somehow wiggles them in a manner that allows her to inch up the wall one tooth at a time). In the later books, as she grows into a young girl, Sunny's biting talent is replaced by an ability to cook. It's a much less useful talent, in my opinion -- it mostly just allows the Baudelaires to subsist on mock gourmet dishes, as if fine dining is really important when one is being pursued by hook-handed fiends and harpoon-wielding fashionistas -- but even it saves the day on one or two occasions. There are many other compelling characters who appear throughout the series (as well as even more who are kinda lame), but special attention must also be given to the series' principal villain: Count Olaf. The Baudelaires first encounter him when he becomes their guardian following their parents' demise -- a role, we learn, he has only taken in order to acquire the enormous Baudelaire fortune. When he's informed that only the children will have access to the funds -- and only once Violet turns 18 -- Olaf begins attempting to acquire the money through various nefarious schemes. Mostly, his plans consist of increasingly convoluted plots to kidnap the children with the goal of later using them to gain the fortune. Count Olaf fancies himself a celebrated actor, and his plans almost always involve unconvincing disguises. Now, such a character could have come across as completely ridiculous and incompetent. Admittedly, at times, he does. 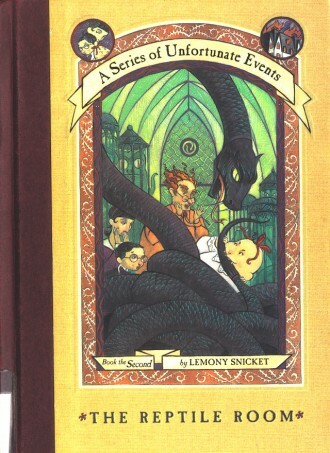 Yet Count Olaf's track record and demonstrated crimes make him a largely credible threat: he not only murders a number of supporting characters in the book (including several of the Baudelaires' new guardians), but also deliberately attempts to kill one or more of the Baudelaires on multiple occasions (after all, he reasons, he only needs one of them alive to gain the fortune). As a result, even when the Baudelaires unmask him and he flees the scene like Team Rocket blasting off again, the reader never questions the children's dread of Olaf. He always returns, and -- even though the Baudelaires are consistently able to thwart his plans -- the body count always rises when he does. Moreover, as the series progresses, more of Olaf's history is hinted at in the character's own remarks and the author's anecdotes. By the end of the series, the cruel and murderous Count Olaf even becomes a sympathetic character in his own right. In addition to featuring intriguing characters, ASUE does a great job of raising questions to keep the reader interested. 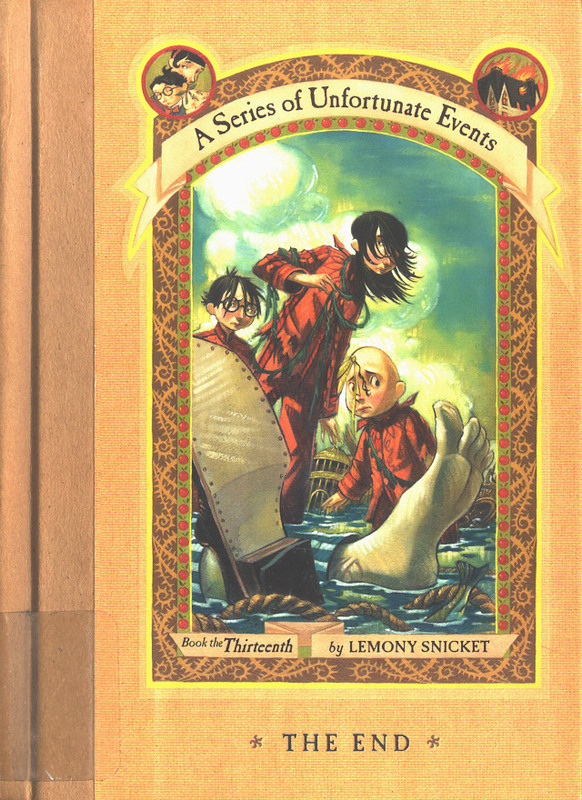 As the books progress, the Baudelaires learn that their parents' deaths were not due to a random accident -- and that Count Olaf's presence in their lives is not simply the result of their bad luck. They meet other orphans who lost their parents in mysterious fires, learn about the lives their parents led, and ultimately discover a world of conspiracies and secret organizations. These details are divulged piecemeal -- in lines of dialogue here, in clues the characters uncover there, and through pointless asides made by the author that sometimes turn out not to be pointless at all. These tidbits are also delivered in such a way that encourages the reader to speculate about their meanings, which makes the series' various discoveries and revelations that much more satisfying when the reader finally encounters them. When you are invited to dine, particularly with people you do not know very well, it always helps to have a conversational opener, a phrase which here means "an interesting sentence to say out loud in order to get people talking." Although lately it has become more and more difficult to attend dinner parties without the evening ending in gunfire or tapioca, I keep a list of good and bad conversational openers in my commonplace book in order to avoid awkward pauses at the dinner table. "Who would like to see an assortment of photographs taken while I was on vacation?" for instance, is a very poor conversational opener because it is likely to make your fellow diners shudder instead of talk, whereas good conversational openers are sentences such as "What would drive a man to commit arson?," "Why do so many stories of true love end in tragedy and despair?," and "Madame diLustro, I believe I've discovered your true identity!," all of which are likely to provoke discussions, arguments, and accusations, thus making the dinner party much more entertaining. The phrase "in the dark," as I'm sure you know, can refer not only to one's shadowy surroundings, but also to the shadowy secrets of which one might be unaware. Every day, the sun goes down over all these secrets, and so everyone is in the dark one way or another. If you are sunbathing in a park, for instance, but you do not know that a locked cabinet is buried fifty feet beneath your blanket, then you are in the dark even though you are not actually in the dark, whereas if you are on a midnight hike, knowing full well that several ballerinas are following close behind you, then you are not in the dark even if you are in fact in the dark. Of course, it is quite possible to be in the dark in the dark, as well as to be not in the dark not in the dark, but there are so many secrets in the world that it is likely that you are always in the dark about one thing or another, whether you are in the dark in the dark or in the dark not in the dark, although the sun can go down so quickly that you may be in the dark about being in the dark in the dark, only to look around and find yourself no longer in the dark about being in the dark in the dark, but in the dark in the dark nonetheless, not only because of the dark, but because of the ballerinas in the dark, who are not in the dark about the dark, but also not in the dark about the locked cabinet, and you may be in the dark about the ballerinas digging up the locked cabinet in the dark, even though you are no longer in the dark about being in the dark, and so you are in fact in the dark about being in the dark, and so you may fall into the hole that the ballerinas have dug, which is dark, in the dark, and in the park. Honestly, by the tenth book, the series seems less like an actual book series and more like a prolonged exercise in putting words on pages -- almost as if the author wanted to see how many of my National Novel Writing Month techniques he could use in a single book and escape meetings with his editor with his person and bloated page count intact. And of course, in addition to the flaws of the writing, some of the stuff that happens in the books is just dumb. Throughout the series, most of the adults the Baudelaires meet are as intelligent as your average South Park townie -- such that, when Count Olaf shows up in one of his ridiculous disguises, the adults fail to recognize him even though the Baudelaires aren't fooled for a moment. For instance, Count Olaf shows up in one of the books wearing a turban in order to hide his unibrow, one of his most notable physical features. However, instead of taking the Baudelaires' word that this man is in fact Olaf, the adults simply assume that the children are mistaken: this man can't be Count Olaf because his features don't include a unibrow! (And because Olaf says he's wearing the turban for religious reasons, the adults refuse to ask him to remove it.) This kind of thing is annoying enough, but at least it's mildly plausible -- after all, adults probably do ignore kids far more than they should. 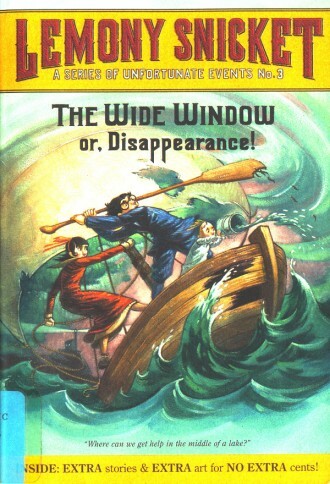 However, there are also things like the situation in the fourth book, The Miserable Mill. In this title, the Baudelaires find themselves working at and living in the dormitories of the Lucky Smells Lumbermill... where the workers are paid in coupons instead of money. As such, they can't afford to take advantage of the coupon discounts because they have no money to buy the discounted items. And while it arguably makes some sense that adults would ignore the warnings of children, it makes no sense whatsoever that adults in modern times would continue to work for employers who don't actually pay them. The Baudelaire orphans are also prone to credibility-stretching lapses in judgment. Another frustrating occurrence that takes place throughout the titles is that the Baudelaires will uncover some terribly important piece of information, or some supporting character will find some crucial evidence that the Baudelaires need to know. Yet instead of insisting on sharing that information immediately or listening to that information at once, as the case may be, the Baudelaires will actively delay the act until later. In each instance, the opportunity is lost: either the person whom the Baudelaires need to inform ends up dead before their next encounter or the individual with important knowledge for the Baudelaires ends up dead or kidnapped. You'd think the Baudelaires would catch on after the first time this happened, but they continue to hold their tongues or close their ears at key moments right up until the end of the series. While this does have the effect of extending the various mysteries and keeping certain secrets preserved as the novels progress, it is also very, very irritating. If this all makes A Series of Unfortunate Events sound like most unfortunate reading, good. I definitely don't recommend reading the entire series, and I can't say that I'm completely happy with my dogged decision to slog through all 13 books myself. (I've determined that I'm not going to read any of the spinoff material or the prequel series beginning later this year, but I'm almost sure curiosity will ultimately get the better of me.) Still, it's not as if the books are completely bad. Even some of the later titles are worthwhile -- I really enjoyed the ninth book, The Carnivorous Carnival, though that could simply be because I love a carnival setting and sideshow freaks are always awesome characters. (One of us, one of us...) Even when the books are at their most annoying (the last three books in the series), there are some shining passages among the abundant padding. And I genuinely recommend the first three books -- unless, having read them, you'll be unable to rest until you've finished the entire series. If you're one of those obsessive souls (believe me, I can relate), skip the books entirely and just rent the movie. I'll be sure not to read these now, though I did enjoy the movie. Last novel I read was in a similar vein. The Sweetness at the Bottom of the Pie, first in a series of mystery books where the star sleuth is an 11-year-old girl. I stopped after one because it was a bit too realistic. The best parts of the book were flashbacks to the girl's father's time at college, where everyone was more interesting and the bulk of the plot occurred. The protagonist herself is very much 11; lacking life experience and perspective, she's fairly dull. Still, it's a decent read. If you're looking for books with kid heroes and want a change from the typical wunderkind, it's worth checking out. I think it avoids the problems you mentioned with ASUE - stupid grown-ups, filler - but I don't know how the later books are.